18 months ago, a Korg KP3+ appeared out of nowhere at the Worxlab. Already an old piece, it was put on a backburner, but picked up by Ray last year. Finally, his detailed review is here, but the KP3+ doesn’t exactly fair too well in comparison to today’s software led effects technology, which is generally the thrust of the piece. So we’re still going to publish it because we want Korg to read Ray’s thoughts and hopefully fix things that could be done more effectively in potential future products. One could argue that Korg’s Kaoss Pad series needs no elaborate intro – it’s been 15 years since the release of the first model which quickly popularized the brilliantly simple concept behind it: it’s a tabletop effect processor built around a large X/Y touch pad which allows the user to tweak multiple modulation parameters at once. While this core design remained unchanged, the units themselves went through many iterations – even including one model capable of mangling video signals (Entrancer), which of course was ridiculously expensive at that time, making it the only incarnation of the Kaoss Pad I never got to play with. The original Kaoss Pad was the first piece of outboard FX gear I ever tried, and despite being a complete beginner, I had little trouble making friends with it. Like any good interface, its basic functionality is self-explanatory: put a finger on the pad, make a few swiping gestures, mess with the sound that goes in. Simple, effective and a ton of fun. Realizing the impact of this product, Numark had licensed the technology, releasing several mixers with integrated Kaoss Pad effects (EM series) years before Korg itself did (KM series). When the KP2 was released, I absolutely had to own it… and if only for sheer nostalgia, I still do. Of course the KP3 didn’t pass me by either – I’ve also used everything that came after: the Kaossilator (the matching phrase synthesizer), both generations of the mini series, the Korg mixers that incorporated it, and finally the Kaoss Pad Quad. The most recent products in Korg’s line-up are revamped versions of the 2006 flagships – we’re going to look at the basic features of the KP3+ first, and then see just how much (or how little) has changed in 7 years. Like its predecessor, the KP3+ features two pairs of RCAs – stereo line in and out, respectively. You can also hook up a microphone and a pair of headphones, each with separate volume controls. Depending on how FX are routed in your setup, a switch on the back of the unit allows you to change the nature of the signal the unit sends out. When set to DIRECT, the KP3+ passes the input signal through and mixes it with the processed one. The SEND setting mutes the dry input signal completely and outputs the processed one only. There’s also a USB port and two MIDI ports (IN and OUT). At the front of the unit, you’ll find a slot for SD cards – the KP3+ supports up to 32GB of capacity. The backlit X/Y pad at the center of the unit is about 9.6cm wide and 7.5cm deep. The 8×8 matrix of red LEDs beneath it can show you the name of the selected effect, play 8 different animations or even display a few characters of text that you can edit using the Kaoss Pad editor software. At the top of the unit, you will find an input level knob and an input source selector switch (mic or line). Next to that is a single three-color LED (green, yellow, red) which gives you a rough estimate of the input level. The KP3+ has a simple display which shows abbreviated effect names, the BPM value (precision level: one decimal), and also helps you navigate through various setting options. Next to the display, two backlit indicators tell you whether you’re currently in BPM Mode or Program Mode. When working with a tempo-synced program, the BPM indicator will blink. A push encoder on the right side of the unit is used to adjust the BPM value or switch between programs. There is a WRITE button for saving programs and storing settings as well as a SHIFT button for accessing secondary functions. Directly above the touch pad, there are 8 buttons used to store and recall your favourite presets for quick access. 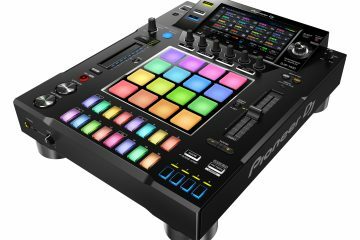 They have a secondary function each, ranging from SD card controls to MIDI, USB and backlighting settings. When working with the sampler, they indicate recording progress and allow you to slice up recorded loops – more on that later. On the left side of the unit – below the input level knob – there’s a wet/dry knob, a fader used to control the overall playback volume of your samples as well as the effect fadeout time (FX release), plus a HOLD button. This one stores and recalls the last position of your finger on the X/Y pad, locking the effect down in case your hands are needed elsewhere. On the right side of the unit – below the program select / BPM knob – there’s an ample-sized button for BPM tapping, in case you’re not working with MIDI clock. It also blinks in time with the beat, acting as a visual metronome. If tapping is not your thing, you can choose to rely on automatic beat detection activated with the button located directly below. Next is the PAD MOTION button. This one allows you to record the motion of your finger across the X/Y pad and play it back (even in reverse). It’s just a few seconds, but you can also save that pad motion with a program in case you want to use it again. The MUTE button mutes the input signal and outputs the effect signal only – good for manual gating. Finally, there is the SAMPLING/RESAMPLING button which controls sample recording and overdubbing – but before we got into that, let’s look at the effects. There’s a plethora of filters, a 4- and 8-band equalizer, various modulation effects (turntable platter stop, flanger, phaser, ring modulator, bit crusher, BPM-synced ducking compressor – to name a few), a separate collection of BPM-synced LFO effects (filters, modulation, slicers, gaters), various delays and reverbs, and finally grain SHIFTers, allowing for some nice glitchy stutter action. Other program types generate sound – there’s a couple of simple drum patterns and a few synth sounds to play around with, as well as a few effects dedicated strictly to controlling and mangling whatever is stored in the unit’s four sample slots. The unit can capture one-shots as well as loops from the selected input source. In addition to that, you can capture whatever the KP3+ is currently sending out – this is called resampling. The length of your recording is tied to the current BPM value. You can record lengths of 1, 2, 4, 8 or 16 beats, but only within a certain tempo range – going below 74 BPM will limit the length to 8 beats, and going below 40 BPM will limit the length to 4 beats. A little math will tell you each of the four sample pads can hold about 13 seconds of audio. The pads light up red when a one-shot sample is present, yellow when a loop is present, and green when a sample is playing. The start point of every sample can be adjusted in 1/32 steps in case your recording is a little off – also, all samples can be restarted manually at any moment, regardless of the internal beat phase. The KP3+ also has a basic loop slicing feature. When a loop is selected for editing, the 8 buttons above the pad represent steps that you can mute or unmute – the trick is that unlike with, say, a drum machine, the steps you mute do not create silent holes – all the other slices move closer together, trimming the loop. This allows for some creative off-beat and glitch action. The level fader on the left side of the X/Y pad adjusts the global volume of all samples, but you can also adjust their volumes independently in sample editing mode using faders represented on the pad. SO HOW DOES THE KP3+ HOLD UP IN 2014? As a long-time fan of the Kaoss Pad series, I have to say I’m disappointed. Admittedly, several things that were less-than-perfect on the KP3 have been improved upon. The pads are now translucent, so visual feedback is very good as the LEDs are clearly visible. The new power supply is much less of a brick than before, and I like the fact that the power switch is actually a soft switch now – it’s hard to turn the unit off accidentally, you have to hold the button for a bit for it to actually power down. Sadly, that’s about all that has improved – my main gripes with the KP3 are still present on the new model, so now it’s time for a little rant. First of all, there is a headphone port – but no PFL/CUE function, on an FX unit aimed at DJs, equipped with too many presets to remember. So on one hand, the design encourages experimentation and improvisation, but on the other hand I can’t try an effect before I unleash it on the crowd in a live setting – unless the FX loop on my mixer has PFL/CUE built in, of course. But that still won’t let you PFL individual samples while others are playing. The control layout could’ve been better. If you work with the wet/dry knob a lot, you will no doubt accidentally touch the input volume knob located directly above, which can be disastrous – so once you’ve found a setting that works for you, you better tape it down. Also, the position of those two knobs is hard to make out in the dark – the pads and buttons have been improved, I wonder why the knobs haven’t at least received a new paint job (a marker would help). 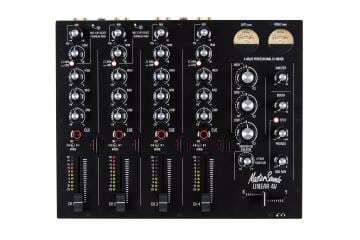 They should’ve been replaced with pointer knobs, like those on your mixer. Also, I don’t see why it’s still not possible to process incoming line signals and the mic input simultaneously. The mic input has a dedicated volume control knob, so if I’m not using it I can just turn it down – right? The input selector switch could’ve been used to assign an input source to be processed by the effects (and the sampler!) while the other goes through dry. The idea behind the FX release function is great – when turned up, this adds a BPM-synced echo tail to your effects, fading them out naturally. The problem is, that tail vanishes instantly when you switch presets, so all this function does in the end is slow you down because you have to wait for the tail to fade out. When working with loops and external BPM clock input, you’re going to run into trouble eventually, especially when you don’t stick to a constant tempo throughout your performance. By default, all loops keep playing non-stop and the pads just mute/unmute them – you’d think loops recorded at the same speed will stay synced forever and if they drift, they do it as a group – but to my surprise, they regularly went out of phase with each other, which is weird as they should have the exact same length. It doesn’t matter if you use USB or regular MIDI as a source either. Everything is pretty stable when you dial in the tempo manually and avoid MIDI clock altogether, but you just can’t rely on proper external sync. I’m all about finding workarounds, so I spent a solid bit of time trying to figure this out. You could try retriggering all loops as a group, but that’s pointless once you’ve recorded something based on a faulty timing in the first place. You can also configure the KP3+ to restart the loop on each pad every time you trigger it, which could work if your timing is impeccable – or you can just keep adjusting the offsets manually (in essence, beat matching) using the BPM knob. You can imagine neither of those options is a lot fun when you’re on stage and can’t really pre-listen. Now you might say, what about performers like beatboxing genius Beardyman? He used to work with a whole array of Kaoss Pads, didn’t he? Well yes, he did – until he replaced them with the amazing Beardytron 5000. But if you look at his earlier performances, you won’t see a song go on for longer than three minutes, plus he’s capturing new loops constantly. If you work like that, you’ll be perfectly fine – but a DJ’s workflow is different. This sync issue wouldn’t be so much of a show stopper if it were still 2006. 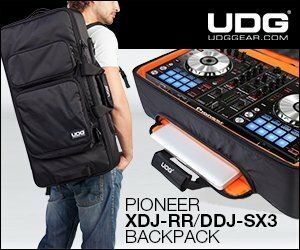 Nowadays, DJs expect things to stay on beat reliably – people who started DJing with Traktor will have little sympathy here, while others who have done live sampling before it was marketed as the #futureofDJing will know problems like these aren’t unusual when you’re working with hardware. It’s part of the game, when you play live things can (and will) go wrong. We can’t leave storage issues unmentioned. Granted, support for SD card capacities up to 32GB isn’t bad, but what good does it do when sample management is such a pain? If you can only store 100 samples in the root directory of the SD card, why would you ever need 32 GB of space? To make matters worse, your samples have to be named properly – numbered from 00 to 99. Unless you work with a notebook (you know, those archaic paper-based data storage devices), good luck looking for your loop banks in a hurry. To top it off, you can’t save or load material on the fly without interrupting playback. Because of that, you’ll be switching between sampling and resampling mode a lot (example: capture everything currently playing onto one pad, thus freeing up others). However, this requires you to push SHIFT, which is a tiny button surrounded by other tiny buttons at the top of the unit. If an essential function is dependent on a combo like that, at least the SHIFT key needs to be placed somewhere more easily accessible – the right hand side of the unit has plenty of room. Here’s an idea: swap the MUTE and AUTO BPM button, then swap the AUTO BPM button and SHIFT – no re-tooling necessary, problem fixed with minimum effort. Finally, the KP3+ has no control pickup (AKA “soft takeover”). This is particularly annoying considering the double assignment on the fader (sample volume and FX release) and the fact that its setting as well as the dry/wet state are both saved along with the preset. So if you work at 100% wet and switch to a program set to something like 20% wet, all it takes is one accidental touch of the knob resting in 100% position for the value to jump instantly. Here’s another example: if you have loops playing and decide to turn off FX release completely, once you let go of the SHIFT button you will be stuck with the fader in minimum volume position. One move (or one nasty bass hit, depending on the sound system) and all the loops will go silent. As I said in the beginning, I’m clearly biased when it comes to the Kaoss Pads – I love them. The timeless concept makes the KP3+ very fun to use, but seeing so many obvious problems persist after seven whole years makes me sad, and a little angry. I’ve owned a Pioneer EFX-1000 and used it together with a KP3 for quite some time, letting both units go eventually – but if I had to choose between the updated versions of these products today, the KP3+ wouldn’t stand much of a chance, no matter how much of a fan I am. Some of the effects are really cool – but others are downright horrible, especially the drum programs. Having used various DVS for a couple of years, even the updated set of effects seems a little boring in a DJ context. When performing my own music, however, I can tie the KP3+ into Ableton Live and apply effects to certain parts only. This is where it gets fun – grain shifting a single synth line isn’t nearly as harsh as doing it to an entire track. But even so, it took me a while to fill up the 8 preset slots with things I’d actually consider using, and then I quickly found DAW plugins that do it better. Back in 2006, this stuff was truly amazing, but today – especially with such an insignificant update – it just hasn’t aged well and won’t make the cut in my book. I’ll certainly keep the KP2 for memories’ sake though. The sad fact is: Traktor Pro and Serato DJ both outperform the KP3+ with their standard features – the Sample/Remix decks can capture more loops and stay in sync wonderfully, the effects are versatile and highly tweakable, and you can use several of them at once if you like. If you work with either of the two programs, you’re almost better off using the KP3+ as a good-looking, sturdy MIDI controller for your software effects. Considering the build quality, it will probably outlast most other units, and the overall design is just beautiful. If you’re not working with DJ software at all, the KP3+ will give you an array of effects that sound a lot better than most FX built into mixers, and a loop sampler that’s reliable as long as you adjust the tempo manually. It’s a lot of fun together with its Kaossilator counterpart too, but neither of these units play nice with external MIDI clock – so they’re cool on their own, but are hard to integrate into a larger setup reliably. As far as hardware DJ effect processors go, it’s not a bad choice – but then again, there aren’t that many choices left these days because of the overabundance of apps. Of course, Korg isn’t unaware of this and has its own iOS lineup. Every review, even ones as old as this, get sent to the manufacturer for fact checking. Obviously this one didn’t go down especially well, but it would appear that there’s a good reason for the apparent slow progression of the KP3+. European ErP legislation had an impact on many DJ businesses, Korg included. So rather than kill off the KP3 completely, it was decided to do a revision to comply with regulations to continue serving the market. We can only hope that the KAOSS line continues and comes back with more effects goodness. If the recently announced Kaoss DJ is anything to go by, we could be in for some fun.